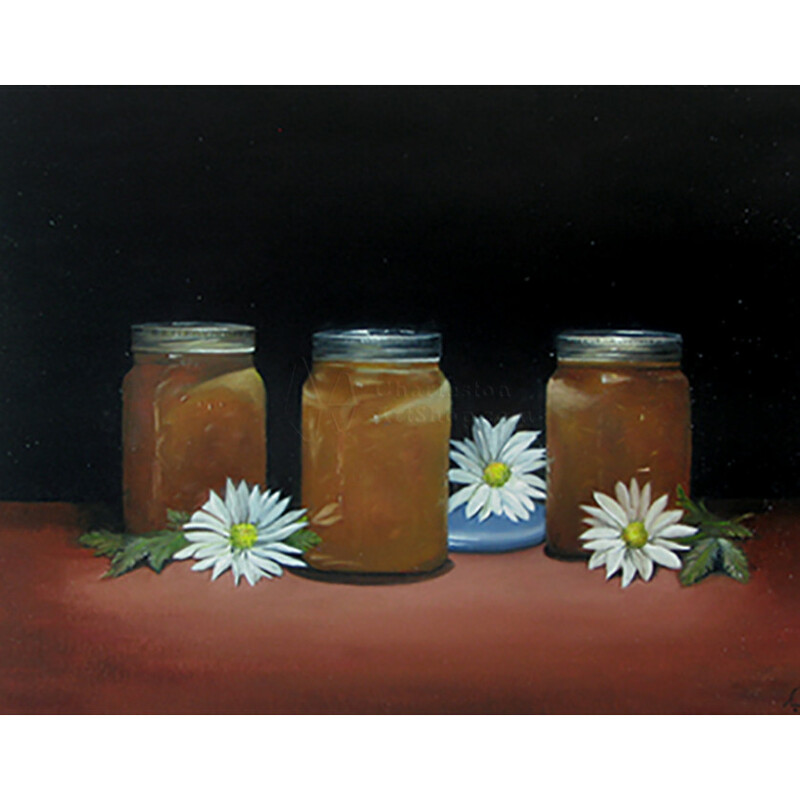 Dimensions: 16.0" x 20.0" x 3.0"
Jars of honey from a friend at church. A gift at a Christmas party and painted during that winter. 16" x 20" a larger canvas for me. The painting presently has a 3" old world wood frame surrounding.